A former Governor of the Central Bank of Nigeria, Prof. Chukwuma Soludo, on Thursday said President Muhammadu Buhari had worsened the “very bad” economic situation he inherited when he assumed power in 2015. Soludo spoke at the ‘Big Ideas Podium’, a public policy debate organised by the Afri Heritage Institution in Enugu, where he canvassed what he termed a “citizens united” campaign by Nigerians to demand change and accountability from government at all levels. Besides Soludo, other speakers at the inaugural edition of the Big Ideas Podium were a former Cross River State Governor, Donald Duke; a former Chief Economic Adviser to the President, Prof. Osita Ogbu; and a member of the Presidential Economic Advisory Board, Prof. Akpan Ekpo. Speaking on the theme of the debate, ‘Prognosis of the Nigerian Economy 2017’, Soludo said Nigeria was fast approaching the status of a failed state. The former apex bank chief noted that it would take nothing short of a miracle for the Federal Government to return the naira to its exchange rate to the dollar as of the time Buhari took over on May 29, 2015. According to the former CBN governor, the government cannot be relied upon to provide the change that Nigerians desire. The solution to the quest for change, according to him, is a citizens’ united campaign that will put government on its toes. He called on Nigerians to agitate for the implementation of campaign promises by government at all levels, noting that the country would make progress if political parties kept at least 25 per cent of the promises they made before coming to power. Soludo added that issues such as the continuing agitation for the Presidency along tribal and religious lines were distractions that arose from the fact that Nigeria was not working. 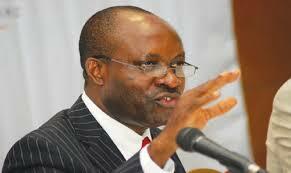 Soludo noted that the government could not provide the type of change Nigerians desired. He added, “Change is a struggle; change is never given by a benevolent elite; no change is given by the government, the people always had to ask for change. Nigeria has been waiting for a benevolent leader since 1960 but he has not come. You will get the type of leader that the people demand. While reacting to Soludo’s assertions, the Presidency said Buhari was working diligently to fix the bad economy he inherited from the last administration with positive results now emerging. The Senior Special Assistant to the Acting President on Media and Publicity, Mr. Laolu Akande, said while Soludo was entitled to his own opinion, Nigerians were entitled to the facts. According to him, while the opinion expressed by Soludo is understandable in a democratic system, the facts are that the challenges of today are direct results of wrong decisions of the past and mind-boggling actions of those who were entrusted with leadership. Akande stated, “Nigerians have demonstrated that they know that the Buhari administration inherited a sorry state of the economy but is working diligently to fix it with positive results now emerging. “What even the former CBN Governor, Soludo, cannot deny is the fact that the Buhari administration has ended the bleeding of the nation and is implementing reforms. “The Buhari administration is spending more on infrastructure at a time when resources are lean. When we had abundant revenues, what happened was profligate and plunder. “What no one can deny is that the Buhari administration is now implementing on behalf of ordinary Nigerians a Social Investment Programme that is unprecedented in Nigeria’s history; paying poorest Nigerians N5,000 monthly; feeding school children and engaging hundreds of thousands of unemployed graduates. And there is more to come. He added, “Another step in the right direction is the fact that Nigeria no longer has to shell out billions of dollars for the JVC cash call, bringing relief from a burden that has slowed down investment in the oil industry. “It is certainly quite curious that very few among us will choose to ignore the new direction but make story of the burdens of the past without proper attributions. This appears to me to be selective amnesia to which they are certainly entitled.